Recently, at the DCA’s 48th Annual Meeting at the Chase Center on the Riverfront, Robert Elder received the Richard P. DiSabatino Sr. Achievement Award! With a full table of Santora CPA Group employees in attendance, Bob was planning to present an award when he was actually the recipient! 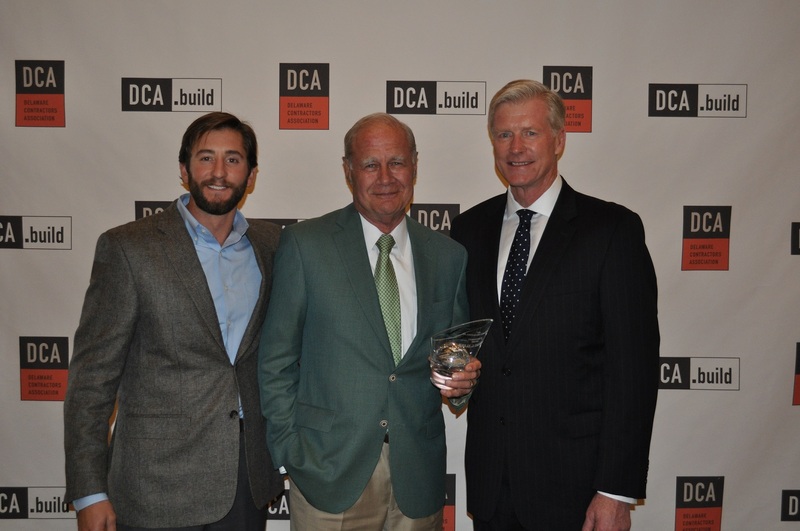 Pictured with Bob are Adam DiSabatino from EDiS Company (grandson of Richard DiSabatino, Sr.) and Bill Freeborn, Executive Vice President of DCA (Delaware Contractors Association).